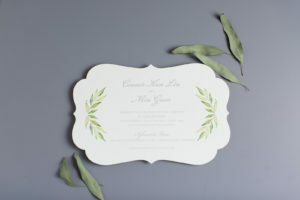 The dusty blue color of this backing layer has become my new favorite wedding color. 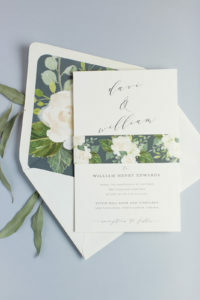 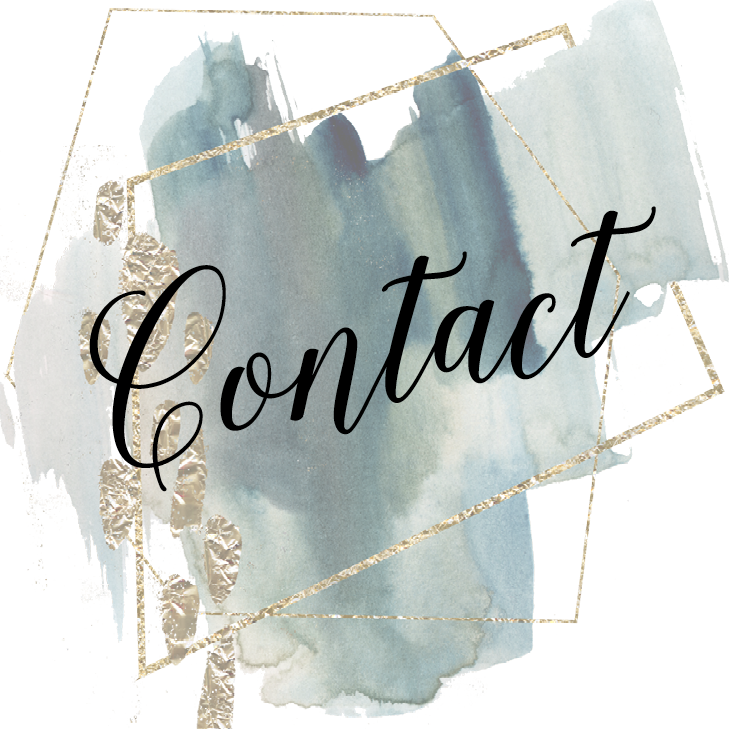 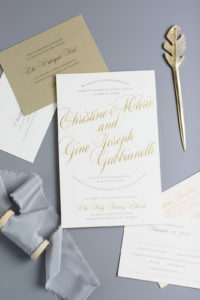 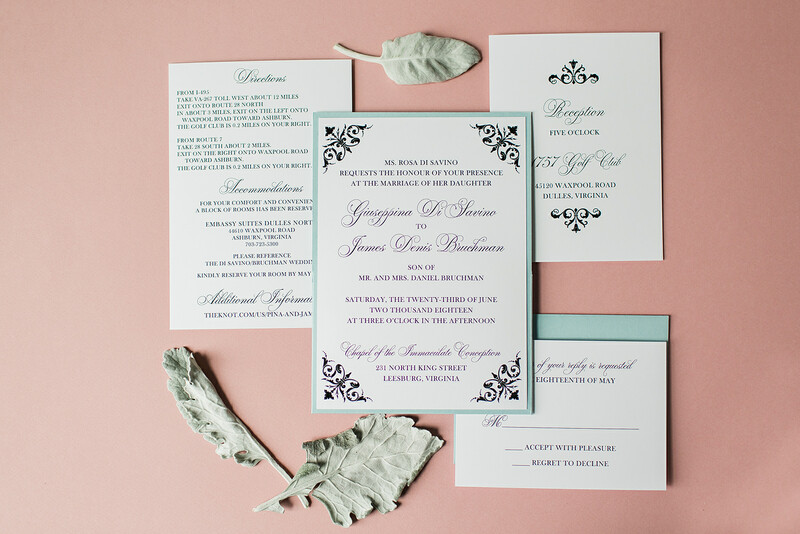 It is so soft and delicate while still adding interest to an invitation, a bridesmaid dress, a tablescape…and so on. 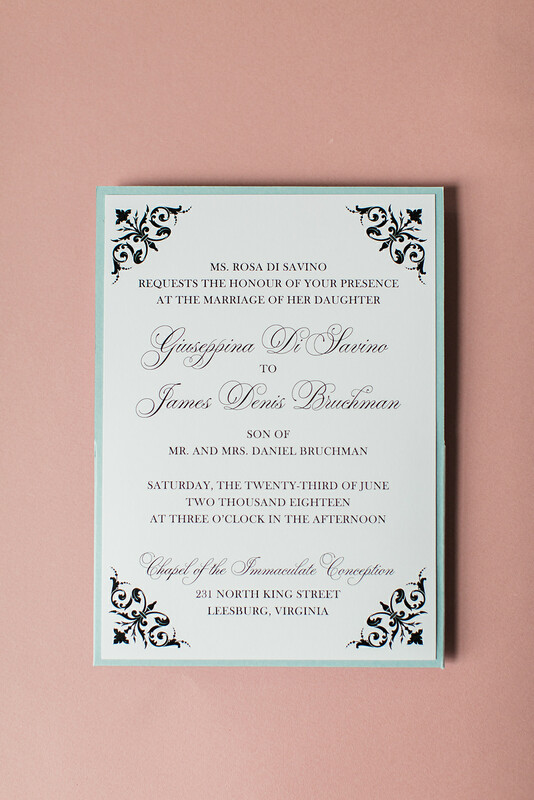 These custom wedding invitations for Pina and James used just enough of of the blue to be a beautiful accent for their June wedding. 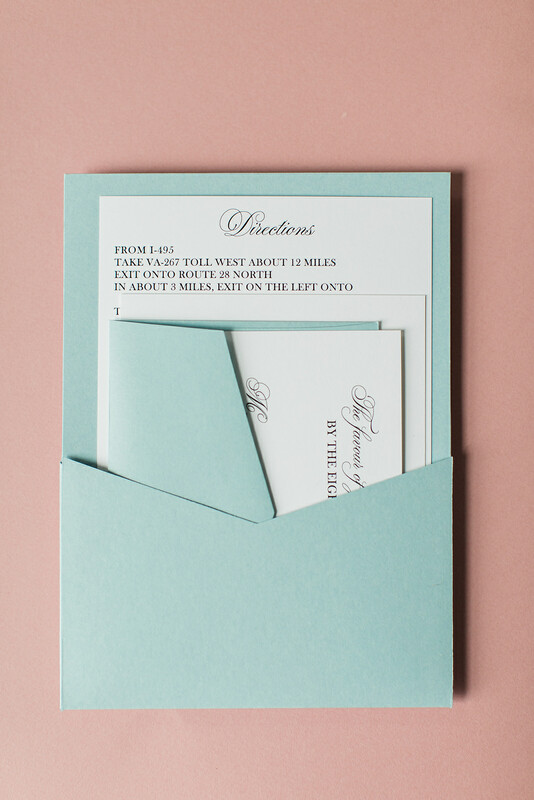 But this beautiful backing layer wasn’t an ordinary backing layer…it was a back pocket that housed the response card, response envelope, reception card, and a directions card into one neat little package. 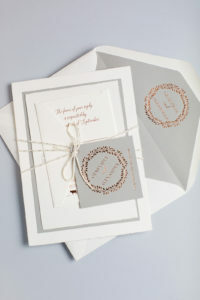 Tying the color in one more time, we used the beautiful dusty blue for the response envelope as well.